Size: 11" x 14" Quality Oil Paint on Professional Grade Stretched Canvas. 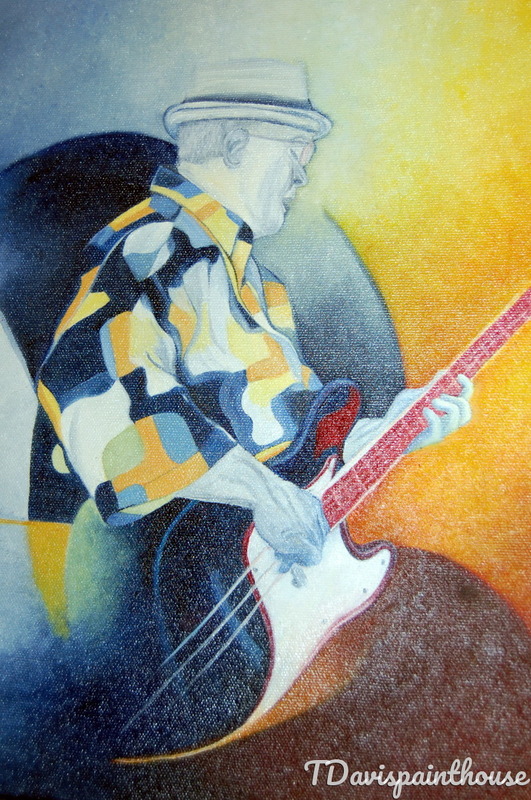 This painting was created from a photo taken at a local music festival of a musician on stage. I chose to place the subject in a Colorful Abstract background of straight lines intersecting with half circles creating a visual sound of music. This work of art is sold without the frame.